One in five UK employees with a physical health condition also have a mental health condition, according to research carried out by The Work Foundation. 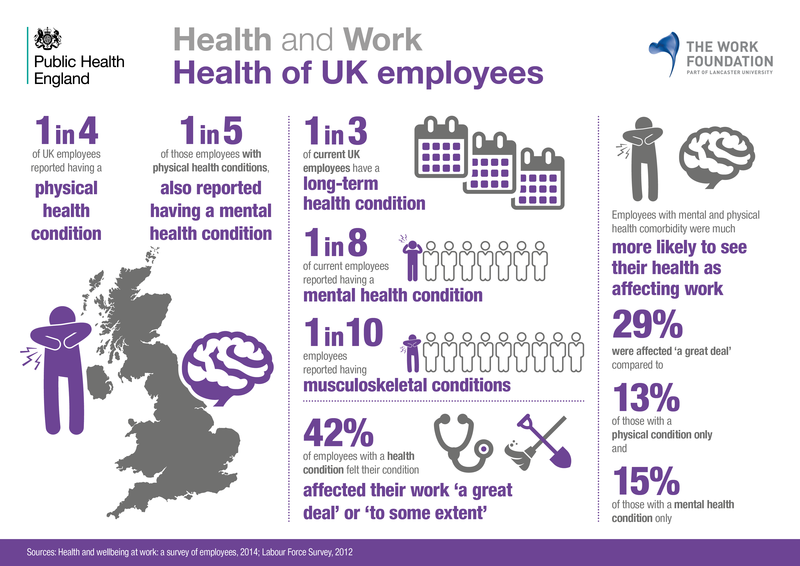 And those employees with mental and physical health comorbidity are much more likely to struggle with their health affecting work: 29% are affected ‘a great deal’ compared to 13% of those with a physical condition only and 15% of those with a mental condition only. The Foundation states that there are various ways in which poor mental health has been shown to be detrimental to physical health. There is an increasing call on healthcare professionals to consider psychological wellbeing when treating the physical symptoms of a condition and vice versa. Likewise, this highlights the importance of employers giving sufficient support to employees, whether they are suffering from physical or mental illness or both, in order to avoid one problem leading on to another. find people who are willing and able to tell their personal stories of dealing with illness.